Lately I am obsessed with "chess" dresses, inspired by Louis Vuitton, I think I really need one for spring. As you have seen in my previous post, sweatershirts are the coolest and trend-est pick for this spring. You can combine it with shorts and sneakers or even ankle booties. Do you like my picks? Love the green and white dress! Love the sweatshirts and the shorts. I'm not too sure about the dresses; I just don't think I would look good in them. Oooo I love the big bold checkerboard pattern! It feels like a new twist on the chevron trend! LV's 'escalator collection' as I refer to it was so awesome! Great dresses! What a cool blog dearie.. Lovin your posts..
Great blog! I'm your new follower, hope you can follow back! Amazing pieces!! I really love those black shorts! Αυτα τα χείλη μου αρέσουν καθώς και το κεντητο σορτσάκι! love your picks you chose. Thanks for sharing. I'm really like bright sweater! The number one dress is so beautiful! Loved it! i love the black/white dress, it's amazing! Love all these pieces, especially the jumpers! This selection is amazing!!! I love the dresses and sweatshirts!!!! If you want we can follow each other...tell me what do you think! Lovely choice, love the chess effect! Just found your blog, beautiful pieces! What about following each other also on Bloglovin and Facebook?? :) C, xoxo. like your blog!!! wanna follow each other?? Lovely items, specially the shorts!! I love those shorts !!! i love the chess effect and the sweaters! 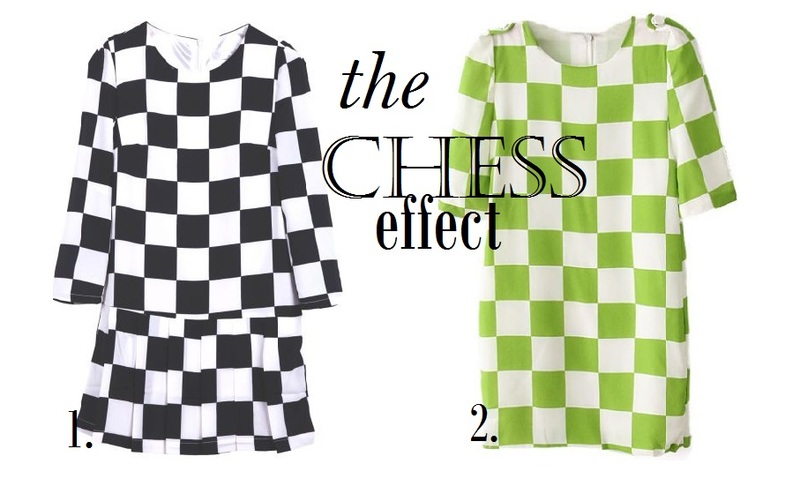 Oh i love the chess prints!! Very cool and I love to wear shorts again. Let the sun shine please! I love the black checked piece!